Every smart entrepreneur understands the importance of investing in their own business. Most business owners realize they need to gain a cutting edge over their competition, just to survive. They realize that failing to invest in their business and business education is a recipe for failure. In the real world, most entrepreneurs don’t expect to take even ONE DOLLAR out of their business their first two to three years in business. Instead, all of the money they earn is reinvested back into the business to help grow it. 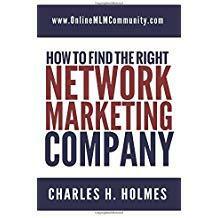 When it comes to network marketing, most people do the complete opposite. Most people in our industry have never owned a business before and therefore they don’t think like an entrepreneur. As a result, they take all of their bonus check (if they get one at all) and spend it on personal expenses, rather than reinvest the money back into their business. Trying to convince them to do otherwise is next to impossible. If you’re one of those people who doesn’t invest in your business, this article is for you! If you want to succeed in your network marketing business you have to develop your own skills. You have to invest in your business education to learn more about leadership, entrepreneurship, your company, your products, the industry, sales and marketing, etc. You should read books, listen to tapes, find a mentor, enroll in automobile university, and attend events. Your goal should be to learn something new each day and to be a student of your business. Subscribe to industry magazines and publications, attend work shops, go to your company’s annual convention and do anything else you can to gain a slight edge. Learn EVERYTHING you can about your business. Be a student of your business. Master your skills. You need to remember that we get paid based upon the value we bring to the marketplace. The more value you offer others the more money you will make in your business. PERIOD. Investing in your business education will develop your skills, teach you new things and help you become a better distributor and sponsor. Remember this: people want to work with experts. People want to team up with confident, successful people. The only way to become that person, so you can attract the right people, is to educate yourself. While network marketing might be different than traditional business when it comes to advertising and marketing, there are a few things you should know. First off, you need a high quality business card. This will be a good investment in your business. Think about it for a minute. How many business owners do you know DON’T have a business card? You should also invest money in samples that you can use and give out to good prospects. Another thing you will want to invest money in is marketing materials and events where you can set up to promote your business. You may also want to invest some money in advertising. If you tell me you can’t afford to do this, my response is that you can’t afford NOT to! One of the best investments you can make in your business is in retaining your team. Remember that it’s cheaper to keep a customer than it is to go out and find a new one. Take some of your income from your business and send notes and gifts to your team members and customers. Send out a monthly newsletter in the mail each month. Do contests for your team to give them an added incentive to work hard. This is a smart investment in your business. Most distributors are so busy looking for the next person that they forget to take care of their team! Don’t make that common mistake. Recruiting will make you money, but the real profits in this business come from retention! This advice will sound extreme to a few of you, but I’m going to say it anyway. For the first TWO years in your business, don’t spend one penny of your commission check on personal expenses. Instead, take the money and reinvest it back into your business to nurture it and continue to grow it. That’s what most entrepreneurs do in the real world. Network marketing is no different. If you are in dire need of money, retail a few products to give you some extra cash. Find and keep a day job to help you pay the bills and provide immediate income. No new business is designed to provide immediate income. Don’t be shortsighted with your business. That’s a mistake that most people make. Most businesses take at least three to five years to really get off the ground and get established. If you’re depending on your network marketing income to pay your bills your first few years in business, you’ll probably be homeless and starve (just like any other business). There you have it folks. The bottom line is that smart business owners invest in their business and business education. They do everything they can to have a cutting edge over their competition. You should do the same thing if you want to be successful in network marketing. What are your thoughts about investing in your business and business education? How do you invest your money in your business? Leave a comment below to let me know what you think. I look forward to hearing from you. I agree 115% that investing in your team is investing in your business as a whole. It is kind of like being the HR department of your business. You want to retain individuals and keep them feeling valued so that they in turn produce more effectively and efficiently. It may seem menial or tedious to send a note or host events for team building and fellowship, but these acts speak loudly and have a huge positive impact. It’s good to invest in people and vital to invest in your own business. I love how you explained this Chuck. I am in total agreement in the fact of just retailing for spending money, but all the other money coming in should be used to reinvest. By using it for samples and free give aways, you will build both a customer and a distributor base that will help your business grow. I would even say that after the 2-3 year period, you should always take a percentage of earnings to invest back into the business. That is just wise business sense. Most small business owners take at least 30% of their profits as reinvest money to help their business keep growing. Spot on, Greg. Every business needs to reinvest profits back into the business.